Reliability, Innovation, Versatility, Safety... in the hands of the surgeon. 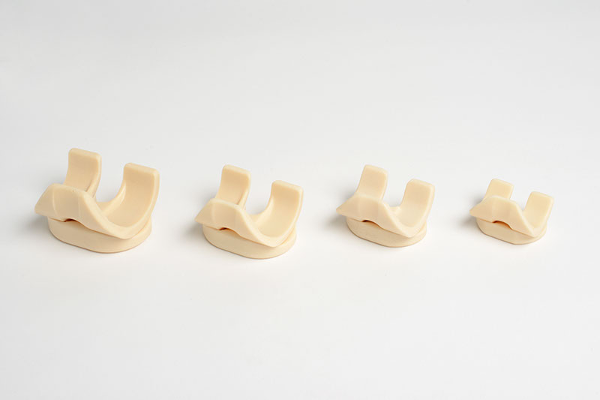 Tecres has successfully produced pre-formed antibiotic loaded spacers for since 1996. Spacers are implantable devices indicated to temporarily replace a prosthesis in a septic revision procedure. Clinical studies published in peer reviewed journals by several international centers have demonstrated that the two stage technique combined with the use of a preformed industrial spacer produces excellent results from functional and biological point of view (eradication of infection in combination with systemic therapy). The Tecres spacer for hip has a load-bearing structure in stainless steel coated with antibiotic bone cement and it resembles a femoral prosthesis. 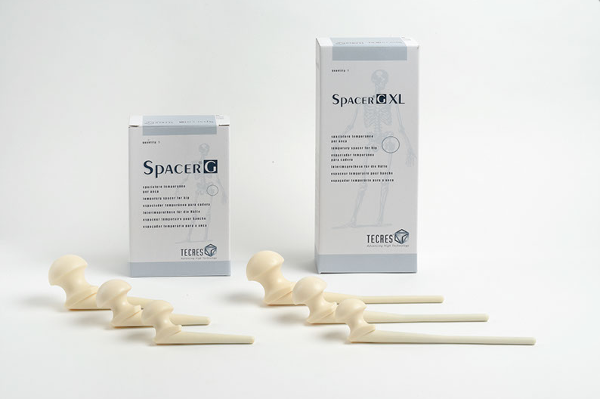 - Spacer-G: preformed spacer loaded with gentamicin (3 sizes of head with long stem and 3 sizes of head with short stem). - Spacer-G Flat Stem: preformed spacer loaded with gentamicin with flat stem designed to preserve the greater trochanter (3 sizes of head with long stem and 3 sizes of head with short stem). - Vancogenx-Space: preformed spacer loaded with vancomycin & gentamicin (3 sizes of head with long stem and 3 sizes of head with short stem). 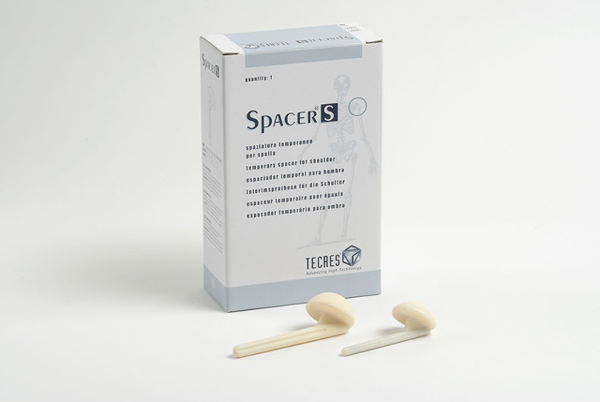 The Tecres spacer for Knee it is made with antibiotic bone cement and It comprises two independent articulating elements. The tibial component has a flat base on which the femoral component articulates. - Spacer-K: preformed spacer for knee loaded with gentamicin. - Vancogenx-Space Knee: preformed spacer for knee loaded with vancomycin and gentamicin. The Tecres spacer for Shoulder has a load-bearing structure in stainless steel coated with gentamicin bone cement and it resembles a shoulder prosthesis.